Ok so I've been keeping secrets from y'all, sorry. Mostly bc.... to be perfectly honest? I've grown a bit superstitious over the years. Idk. Some of you might remember my last serious attempt to replace the Bates, back in the spring of 2016. 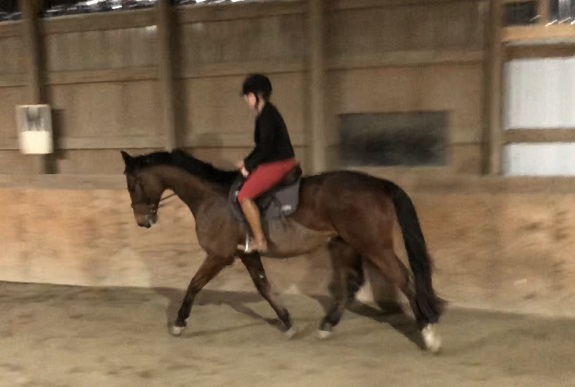 I had purchased the Bates for Isabel with guidance from a professional fitter, but it was never really a perfect fit for the mare. I loved it for me, but that's only half the equation, right? Over time, I started wondering if something else would suit us better. So with the help of another professional saddle fitter, I ended up purchasing a Kent & Masters new. This was.... well, a disaster. And so let it be known that I'm now a saddle fitter skeptic haha. 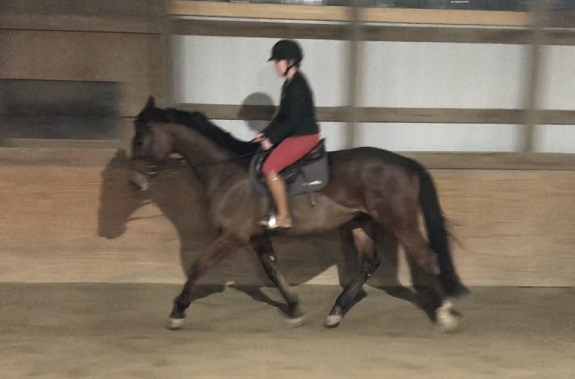 Some context: I had only been back in the saddle after breaking my leg for a couple months, and we were both pretty out of shape considering my time off. Plus, ya know, winter. So I missed a couple red flags about that saddle's fit bc I blamed it on poor rider fitness instead. Like, uh, not being able to actually hold my two point or galloping position in the saddle. That should have tipped me off as a harbinger of problems to come. Oh well, tho. Now I know, I guess. Anyway, a whole bunch of things changed all around the same time. 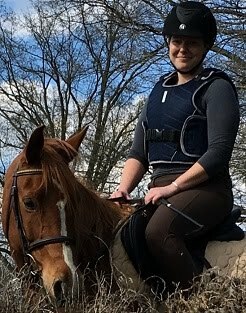 New saddle, confidence eroded after my leg injury and time off, steadily gaining weight after said injury, new job and new work schedule, a couple bouts of thrush that created some jumping issues, etc etc etc. But it was all at this time that the wheels started falling off my jumping bus with Isabel. if it fits i'll sits! It might not be fair to blame it ALL on that saddle. But the K&M saddle was undoubtedly not going to be a part of our solution. Another mistake I made with that purchase: I never got any pictures of me in it (particularly jumping) until after the purchase was finalized. In retrospect, I regret this. 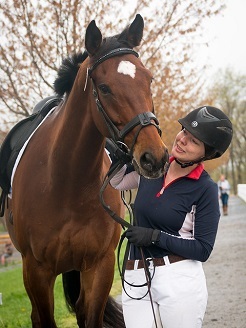 Bc the pictures I *do* have of me in it (like all of Megan K's beautiful shots of us at Fair Hill, where we got TE'd in stadium after a crashing refusal....) make me look like a hot goddamn mess in the saddle. Now I will be the first to admit that my position and equitation are not perfect. I have many flaws, it's true. But that saddle.... wow, it did not do me ANY favors. Honestly seeing those pictures was kinda a turning point for me. houston, we have clearance. thank the lort. I ended up selling that saddle through the same fitter I'd purchased it. But of course now it was being sold as used, plus the fitter got a fee for selling it. So.... yea. I took a big financial hit on that whole fiasco. Possibly I still have heartburn over the whole thing, ugh. All that to say, I'm a little gun shy now. The Bates actually works for Charlie better than it ever did for Izzy. He shows none of the soreness that she would on occasion. And it doesn't rock on him like it did on her. It's not perfect, but considering he's not exactly what you'd call stoic, I take it to heart that he's not telling me there's a problem. It's not necessarily the best saddle for me, either tho. Like, I love it with the fire of a thousand burning suns, sure. I feel super secure and safe in it. True story: one of my first rides in that Bates was actually the first time I jumped 3'. But it does me a couple disservices, too. 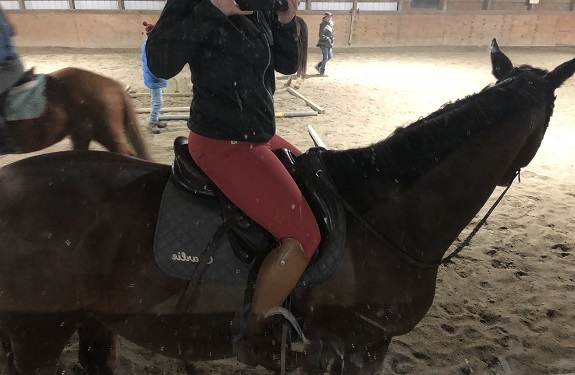 Mainly: the saddle puts me in a position where I want to tip my pelvis forward a bit, and sink all my weight into my knees instead of into my heels. This creates all sorts of fun issues, like a less stable leg over fences and an inability to do simple things like, ya know, sit the canter. kitted up and ready to rock 'n roll! Plus, being totally honest here? I've been kinda itching for an upgrade for a couple years now. Specifically? I love the close contact feeling that comes with monoflaps, and have been wanting some more security by way of knee and thigh blocks. And so I've been passively browsing. Things got really interesting tho last week when I casually tried out that L'Apogee close contact from MD Saddlery. And, uh, loved it. Alas, it was not a workable fit for the horse (too wide), but I was immediately keen to see if there was another L'Apogee available to try. night time lighting means we get what we get with these pictures. i like what i see tho! 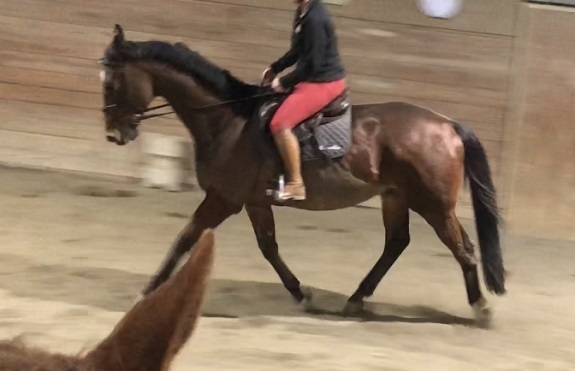 Sure enough, I googled "L'Apogee close contact saddle" the moment I got home from the lesson (Saturday 1/26) and one of the first results was for this pretty monoflap you see in the pics above. It's the CLXI Cross Country saddle, with an 18" seat, forward flaps, and a medium tree. Obviously I immediately called Farm House Tack to set up a trial, but by this point it was around 6:30pm, well after closing hours. Nbd, I shot off an email and planned to call the next morning as soon as they opened. Which, ya know, like a crazed stalker, I did. The rep was super helpful, and said she'd call me back in about 10min after she went to pull the saddle and gather all the necessary paperwork. Except, when she called me back, it was to say that the saddle's owner had actually picked it up to take home the day before. As in, at the exact moment I was riding around in my lesson, falling in love with the saddle, she was giving up hope and taking hers home. Noooooo!!!! oh and hey, i got more flat work video footage!! Luckily tho, fortune favored us all haha, and after a couple days, Farm House Tack reps were able to get in touch with the owner, who then agreed to send the saddle back to the shop, for the shop to then send to me. And so, after some delay, the trial finally began on Monday. I fully admit: I'm inclined to like this saddle. I want it to work. It's pretty and it's soft and it's pretty. Ya know? But I'm also trying to not get burnt like I did with the K&M. Trying to cover my bases, and protect my own self from being blinded by the pretty. (but it's so pretty tho!). This means: taking my trial rides more seriously. My first ride I practiced all the things in the saddle: 2pt and galloping positions in all gaits, sitting trot, posting trot, canter in full and half seat. All of it. And, uh, I asked for honest feedback from my friends whose judgement I trust and respect, including one friend who captured the below video for me. Honestly I kinda like the video independent from the saddle trial aspect anyway, in and of itself. Bc it's just another round of evaluating where Charlie and I are in our flat rides. 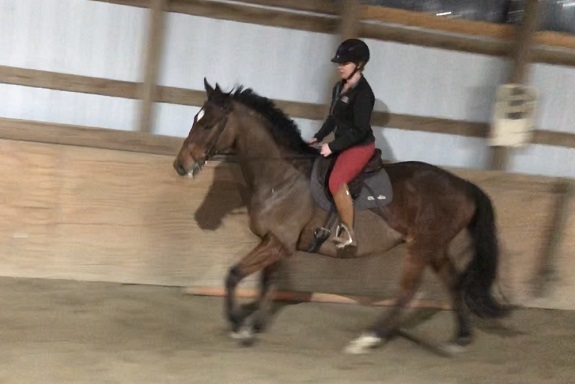 Useful takeaways include the fact that I'm still not being serious enough about accountability in my own upper body and rein length, and this translates in part to transitions that are still a bit rough. You may recall that transitions have been a big focal point for this winter, but clearly there's still more work to be done. Also notable is the difference in quality of Charlie's trot before and after the canter. The post-canter trot is much more expressive, and closer to what I should get in our regular working trot. Anyway tho, what about the saddle?? Well???? I really like it. It corrects the main issues I perceive with my Bates: that I want to tip my pelvis forward and pinch with my knees. The seat of this saddle naturally puts my pelvis in a more upright position (tho obvi I'm still fully capable of collapsing higher up in my torso lol). It also allows my leg to hang much more freely from hip to heel, with even contact and weight distributed down the full leg. Not just a heavy pinched knee and a curling gripping heel. Which all leads me to be able to actually finally sit the canter, omg. Anybody who has watched literally ANY videos from jump lessons with trainer P will know that she constantly hollers at me to "Sit!!" to help keep Charlie from getting so strung out. It's just.... well, really challenging in the Bates lol. Not so in this L'Apogee tho! tail end of a trot-walk transition, i like his top line in this transition! I feel really comfortable flatting in this saddle. Even despite the all-too-common zoo-like conditions of our indoor in the winter haha. Bc.... yea, it gets crowded in there. 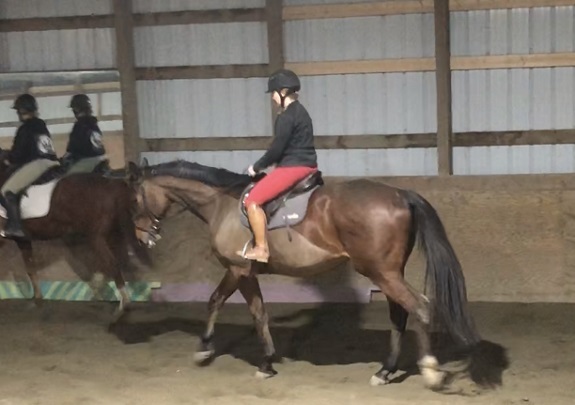 You can't really tell from how I cropped the above pictures, but there are like five other horses in the ring all doing different things and going different places and directions lol. You'll see what I mean in the video tho haha. I'd say it's good practice for the warm up ring at horse shows. Except actually the warm up rings are maybe easier lol. We're used to it tho, everyone is friendly and we do our best to share space (and only have a couple near misses on any given night lol). Charlie, for his part, seemed totally comfortable in the saddle. He was happy to stretch during our warm up, and did not seem to feel any resistance to moving forward. Those are generally his biggest "tells" when something is bugging him, so that makes me feel optimistic. It's true tho that sometimes a new saddle makes a horse more comfortable simply bc it's not pressing the same normal sore spots as the old saddle, but that over time it can create its own new sore spots. So I've got more testing to do. Also like, ya know, jumping in it haha. The fit overall generally looks good for Chuck. The panel shape of this saddle isn't as perfect as the last L'Apogee, but it's still way better than the Bates. Even contact all the way down the panels, and good clearance through the gullet channel, with no tight spots. A promising start. happy horse worked hard but felt good! So obviously this is only Part 1 of the test. Bc again I'm trying to not repeat the same mistakes from my last saddle purchase. But I feel really hopeful. It has the best fit of anything I've tried on Charlie, and my initial impressions for myself are positive. Stay tuned for more -- next up, jumping in it! Saddle shopping is so, so painful. But getting a new saddle is also SO FUN when it works out and you have a pretty new saddle. Fingers crossed! Thank you! It’s definitely a roller coaster, I just hope it ends in the right place! Eee! So excited the early data is looking good! 🤞 The jumping works out. Also, omg with those bright pink pants. Haha. Talk about hi vis on your dark road! Ohhh your pelvis position is so much more upright! You look pretty comfy up there! Fingers crossed the testing continues to go well. Definitely super comfortable! So far Charlie is too. Just gotta make sure we are set up for sustainability !! You look really good in this saddle. Farm House Tack is my new favorite place to shop. They are super friendly and go above and beyond to help. Fingers crossed the jumping goes well. All the farm house reps have been wonderful so far! Fingers are crossed for you! You look really good in the saddle, and sitting the canter looks effortless! I went through the same thing when P was growing and I had a CWD that fit him, but not me so much. 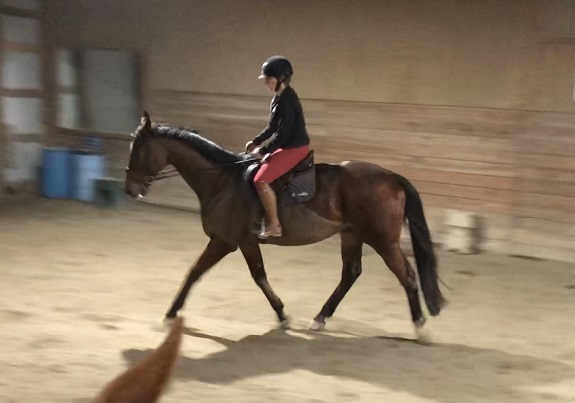 I kept chalking up my awful eq to my own awfulness, but from the moment I sat in Dear Voltaire, the heavens parted and everything was SO MUCH EASIER. I hope the jumping goes well! thanks!! it's definitely super eye opening when we learn that something we thought was our own inadequacies or inability turns out to just be sub-optimal equipment haha. You both look good in it! (And Charles is #struttin). I honestly don't know how you've lived in that Bates for so long. They're my least favorite saddle on the planet. omg secretly me too, i have such a big crush on the saddle.... but am just trying to be responsible, ya know? Your point of balance in this saddle is SUPER. I could watch you canter all day long (I hope that doesn't sound weird lol). Just very quiet, following with the motion, and so comfortable looking!! I think you found your diamond! Good luck, I hope it works out! The only thing worse than saddle shopping is horse shopping. But I do really like you in that saddle!! ugh tell me about it! i would add truck and trailer shopping to that list too haha. the key commonality being all the associated uncertainty that comes with the territory. it drives me nuts!! the bates is a really perfectly good saddle. i'm probably never going to sell it, and definitely not for anything less than way more than it's worth haha. and actually i feel mostly pretty darn good in it even over the biggest fences i've tackled. but ya know, even after all these years i still feel like there are greener pastures. we'll see tho! OMG so pretty. I think you really look fantastic in that saddle, and Charlie looks comfortable as well and so forward in his trot! I am crossing my fingers so hard for you that this saddle works out for you! Hold on let me clean the drool off my keyboard before I type too much....... ok that is better. Lol. Seriously, that saddle is gorgeous!! He is moving really nice with it and your eq looks great too. It is insane how difficult it is to find a saddle that works for both horse and rider. That is something that non-horse people truly don't get and sadly some horse people don't get. I am super lucky that my saddle works for both my boys although they each prefer a different half pad under it. Winifred is Mattes pad all the way but Luther moves out better with my Ogilvy. Fingers crossed that it works well over fences!! ha thanks! agreed that saddle fit is.... infuriatingly challenging haha, there are so many little points of balance! but hey, if we can find a way to make a situation work, all the better! i'm definitely loving the monoflap style!! saddle fitting is so hard for me bc i crave certainty and conclusive, definite results. but like.... is that ever even possible with horses? ?